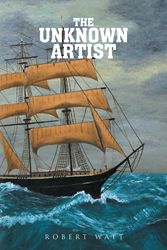 Recent release “The Unknown Artist” from Page Publishing author Robert Watt is the true story of the author’s development as an artist and ability to pursue his artistic endeavors despite a variety of changing life circumstances. It is the author’s belief that the pursuit of an artistic career can be fraught with challenges and demand many sacrifices, but the rewards are ultimately priceless. Robert Watt, a self-proclaimed “painter of many media,” has completed his new book “The Unknown Artist”: an inspiring and motivational story outlining the author’s journey as an artist whose life circumstances changed many times over the years and whose international travels ultimately provided the experiences for him to truly develop and express himself through his art. Published by New York City-based Page Publishing, Robert Watt’s uplifting tale inspires emerging artists to find inspiration in everything they do. Readers who wish to experience this inspiring work can purchase“The Unknown Artist” at bookstores everywhere, or online at the Apple iTunes store, Amazon, Google Play or Barnes and Noble.